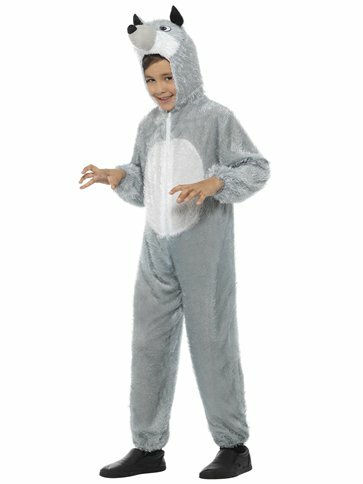 Become a big bad wolf for the day with this soft grey jumpsuit. 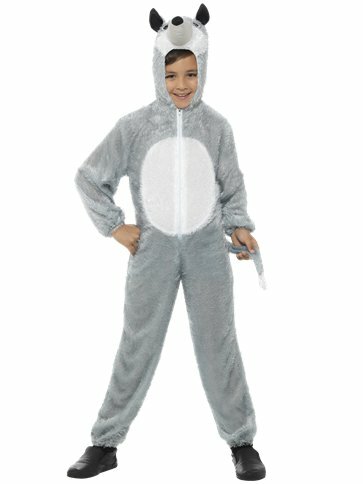 The plush onesie simply zips up the front, with a tail at the back and a padded hood that pulls up to show a cute character face. 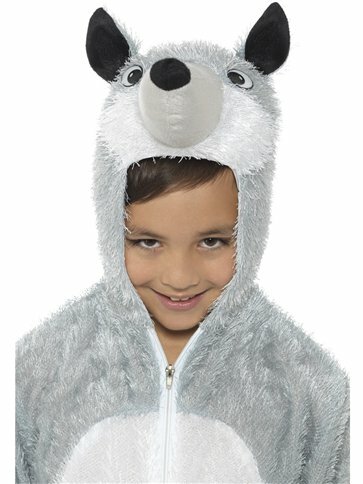 Pretend to be the wolf from The Three Little Pigs or Red Riding Hood for World Book Day.